A case in point was the recent firestorm ignited by Irish politician Peadar Tóibín, who established the Aontu party, when he proposed a public debate about “sustainable immigration,” to include such considerations as the effect of immigration on the cost of housing. The reaction from the thought police was immediate and fierce. Timmy Dooley of Fianna Fail demanded that Tóibín’s “fringe party” be “confronted robustly” for his proposal, while Pearse Doherty of Sinn Fein accused Tóibín of adopting dangerous populist rhetoric. Former justice minister Alan Shatter lashed out at Aontu, accusing the party of “dog-whistling a nativist, warped perspective on immigration to attract attention, stoke prejudice and generate votes,” Quinn notes. And yet such commonsense assertions are necessary, Quinn insists, if people are to make informed decisions about issues like immigration that affect everyone. 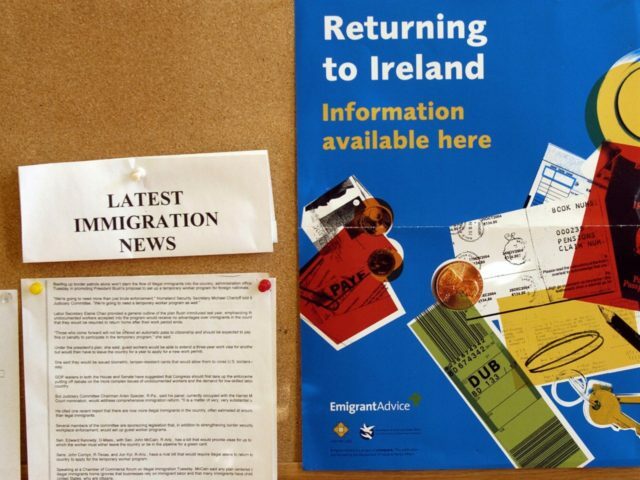 There is considerable ignorance among the Irish regarding the nation’s immigration statistics, and making the topic taboo perpetuates this ignorance, Quinn asserts. 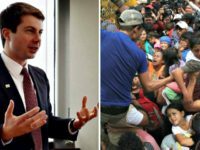 Thus, while many believe that immigration into Ireland is low compared to Germany or the UK, in point of fact, “the percentage of foreign-born residents living here is higher than either in the UK or Germany,” Quinn notes. Foreign-born residents in Germany in 2017 made up 11 percent of the population and in the UK foreigners accounted for 14 percent of the population. In Ireland, the figure was 17 percent. In 2017, 25 percent of immigrants in Ireland came from countries outside the European Union. “How many more would we like to see arrive, and over what time period? How about 50,000 non-EU immigrants arriving next year? Or 100,000 or 500,000, for that matter?” Quinn asks. All of this takes its toll on a nation’s citizens and it is unfair to rule out a debate on an issue that is so central to people’s existence, he contends. Immigration has a real effect on the cost of housing, on jobs, schools, hospitals, and wages, Quinn observes. In 2017, some 1,000 additional families sought emergency accommodation and of these, 21 percent were from outside the EU. “Is it not putting a strain on the system? Are we allowed to ask whether Irish people at the bottom of society are being further disadvantaged as a result?” Quinn asks. An honest debate will benefit everyone, Quinn concludes. “Maybe it can be demonstrated that our current immigration levels are sustainable. Maybe no one is losing out. Maybe everyone is a winner,” he suggests. But no one will know unless the subject can be addressed in a rational way without demonizing those who merely want to raise honest questions.